This film was mawkish and overwrought. 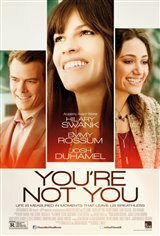 With Emmy Rossum and Hilary Swank, it should have been a guaranteed hit, but it was a total disappointment. Another excellent performance by Swank along with Rossum and Duhamel.